This is served at our house on the Feast of St. Michael and All Angels (September 29th) as a side dish with roast goose. Because it tastes even better a couple of days later, I make it early and refrigerate until the day of the feast. 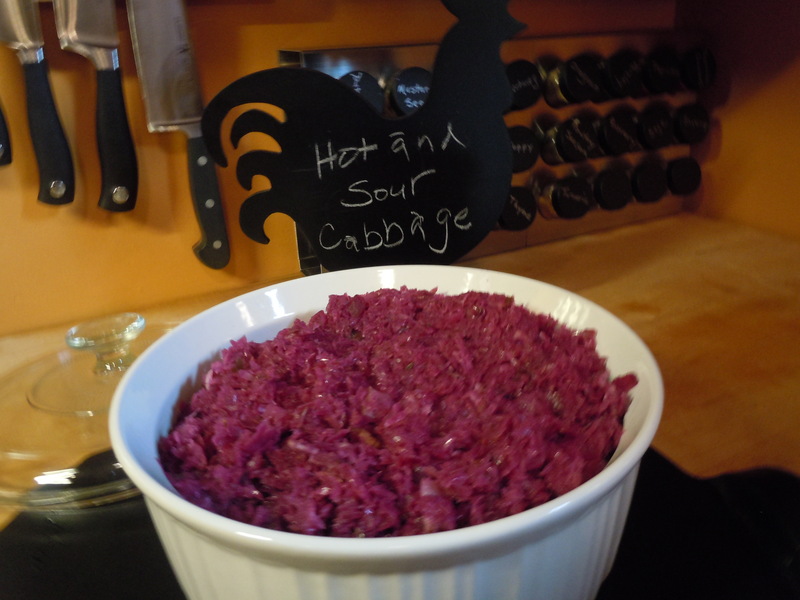 The red cabbage is local, and so fresh that it still had grit in the outer leaves. 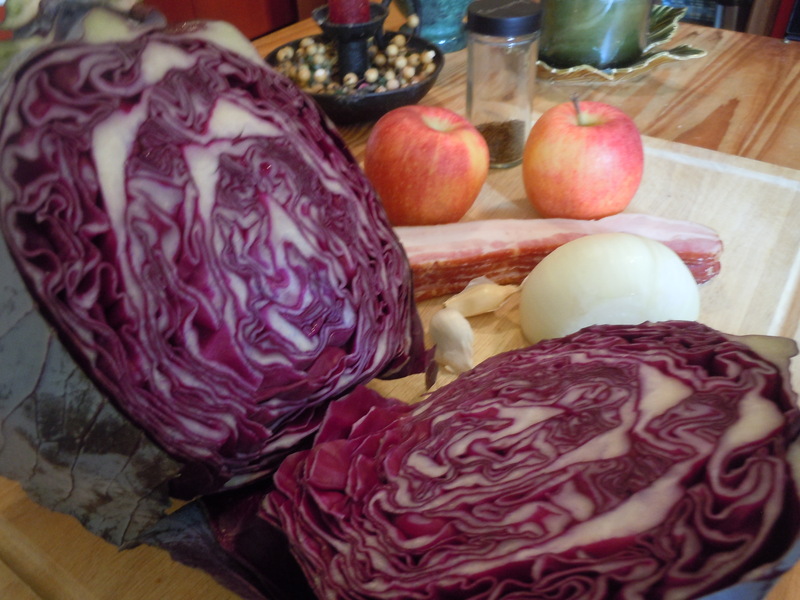 So, if you find local cabbage, rinse it very well. Saute the bacon in the vegetable oil. Add the onion and garlic and cook until translucent. 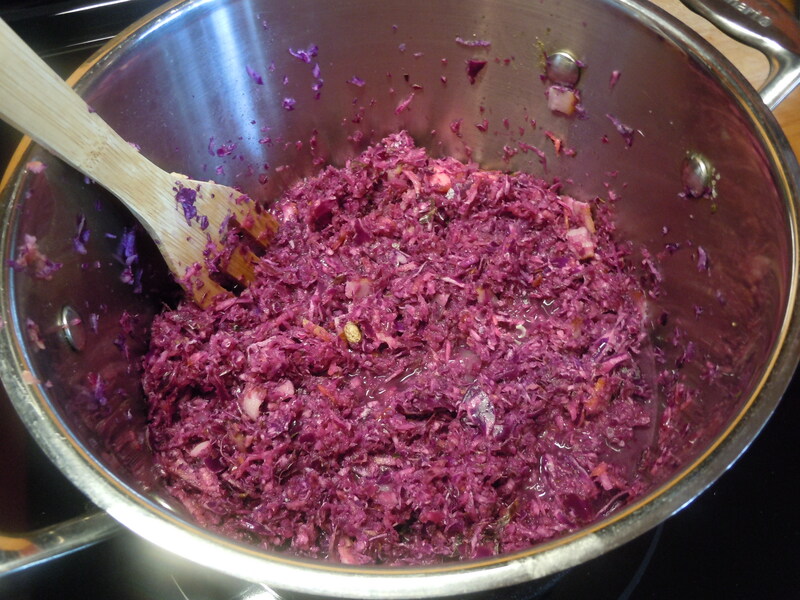 Add the cabbage, apple, vinegar, water, caraway, cardamom, cinnamon, and sweetener or sugar. Bring to a simmer and cook gently for 20 minutes. Transfer to an oven proof serving dish, cover and let cool. Refrigerate up to 3 days.